Kitu Kiblu runs half-day encounter trips allowing visitors to interact with whale sharks in a safe, relaxed and respectful way. 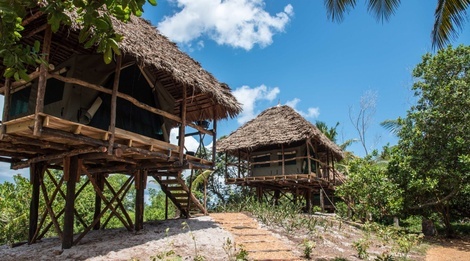 The encounter trips are launched from the KituKiblu Beach Lodge, Kilindoni, Mafia Island. We run internship programs, for those with an interest in marine conservation looking to gain skills and experience working at sea. 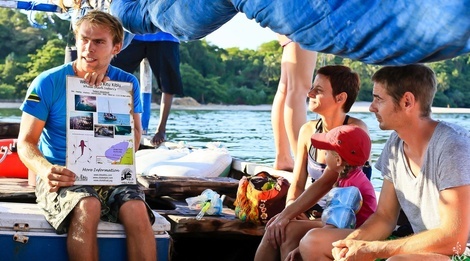 Kitu Kiblu offers half-day trips to individuals and groups who wish to view (and have close-up, relaxed encounters with) wild whale sharks, learn about their biology and ongoing conservation issues and efforts. 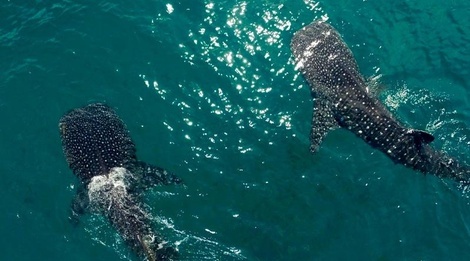 We are open from October 1st to March but may open earlier if whale sharks are already feeding on the surface. Our beach houses are tents placed within stilt houses, on the beach. The houses have electrical charge points, lights and fans. These units have shared bathrooms and toilets. 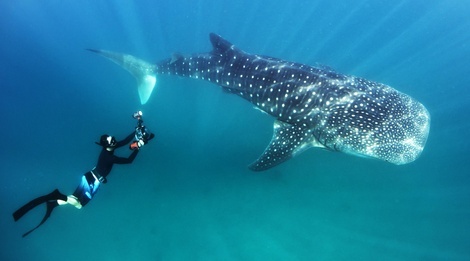 The whale shark, Rhincodon typus, is the world’s largest fish reaching over 20 meters (65 feet) in length. They are cartilaginous fish, not mammals, and their name refers to their size and diet of plankton. They are cartilaginous fish, not mammals, and their name refers to their size and diet of plankton.